Is LeBron James' bad Free Throw shooting a legitimate concern for the Lakers? 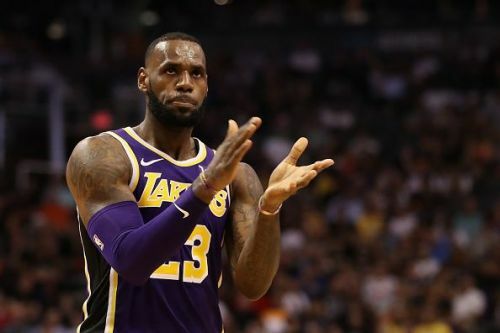 For some context to what we are going to talk about, the video tidbit posted below explains how LeBron James lost the Lakers their third game of the season (against the Spurs), only because he couldn't make a couple of free throws down the stretch. LA had lost their first two games of the season and had a chance to record their first win of the 2018-19 season with LeBron on the roster. But what got them their 3rd consecutive loss was none other than Bron himself. In simple words, LeBron's arguably the worst clutch free-throw shooter ever to stand at the foul-line. It seems almost unreal at first, that the man referred to as 'The Best Basketball Player on the Planet' can be 'the worst' at anything basketball. LeBron referred to his FT misses as "unacceptable" and rightly so. It is crystal clear from the way things are going that the ball will surely end up in the hands of LeBron during the dying minutes of the game, and being the assertive kind of a player he is, he will draw fouls and go to the FT line. Yes, he's the greatest player of this generation but just 48 percent from the line in such crunch situations is shockingly bad for a player of his level. Although The King's overall shooting has actually gotten better with time, his FT shooting percentage has always hovered in the mid-70s. Currently, he is averaging 71 percent from the FT line. Luckily, this is not as bad as two years ago when he had the worst season of his career from the foul line, shooting his all-time low 67 percent. It's inexplicable (to say the least), as to how LeBron has managed to remain consistently great at everything he does on the floor for 16 seasons and at the same time struggle in terms of free throws. With the work ethic he possesses, it might be juvenile to assume that he hasn't yet started to work on that part of his game or hired a professional to take him through. With the young core that surrounds him, it has been made pretty clear in the recent past that his services down the stretch would be dearly needed. He will have to take the initiative and handle the game with the clock winding down, with his support crew looking up to him to rescue them. It doesn't help the Lakers' cause at all to know that the best player on their team would be on the opposition's radar when push comes to shove, and he would eventually find himself struggling at the foul line with the game hanging in the balance. Are LeBron's problems at the free throw line a concern for the Lakers? Comment below. What Happened to the Eastern Conference after Michael Jordan's second retirement?